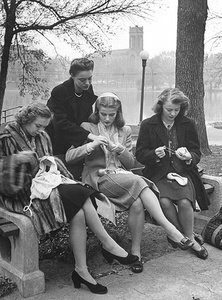 You may have an annoying UFO hovering over you, or a tangled mess of a project that aggravates you every time you see it, or maybe there’s a technique that you need to refresh before you start your next sweater. PLEASE BE SURE TO CALL THE SHOP BEFORE HEADING OVER to make sure that the experts at Sugarfoot Yarns are ready to help with their skills and support. Registration is not required, but we recommend calling ahead so our on-site expert is ready! Cost is $6 per hour or portion thereof.